The 2nd book in the bestselling SCARLET COVE cozy mystery series! 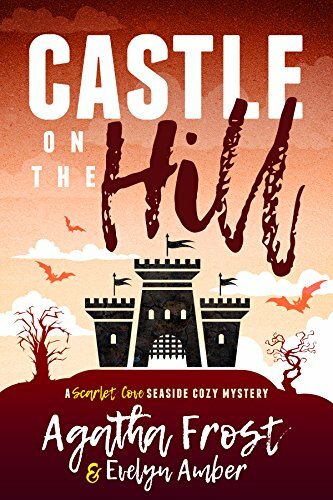 On the night before Halloween, the people of Scarlet Cove annually gather at the castle on the hill in hopes of spotting the headless spirits that are rumoured to stalk the grounds. What starts off as a silly legend for ex-detective, Liz Jones, soon becomes all too real when she discovers a severed head. Her hopes of settling into her new home on the coast are once again hampered when she is dragged into another murder investigation. Liz finds herself pulling together the clues as she interviews the townsfolk, but what connects a local ditzy hairdresser, a restaurant owner, and a ruthless cabaret singer, and could one of them have delivered the fatal blow to the victim's neck? Can Liz use her police training to wade through the lies and discover the truth before it's too late, or will she be distracted when a face from Simon's past slingshots into Scarlet Cove, threatening to end their blossoming relationship before it has even begun?